It’s all qualifiers this week in Heroes esports. After their first Summer qualifier, Europe has its first representative for the Summer Global Finals in Sweden at Dreamhack. 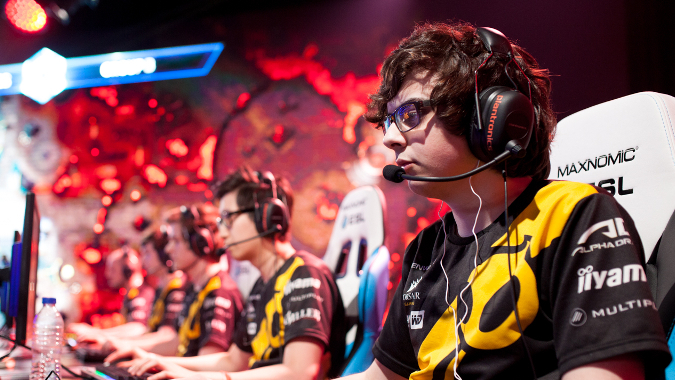 Congratulations to Team Dignitas, the very first team to qualify in any regions. Because Europe and North America each get two slots at Dreamhack, the regions have decided to have two different events to determine the representatives from their region. It’s just a bit confusing, so the Blizzard esports team put out an article that explains exactly what the protocol is to determine the qualifying teams from both these regions. I’m still befuddled but the bright side is this means double the prize pools for the teams and double the Heroes action for us to watch. So here’s all the Heroes of the Storm esports events you should keep an eye on this weekend. After they were knocked out before the final rounds for the Dreamhack qualifier in Leicester last weekend, EU team Natus Vincere (also referred to as Na’Vi) shuttered its Heroes of the Storm division. It still has divisions for other games so it’s possible we may see the team return in the future after a rebuild, but for now it’s bon voyage. NA teams still have one last event to showcase their skill before their first big regional at Dreamhack Austin. ESL Gaming is hosting Summer Regional #2, which takes place in June at the ESL studios in Los Angeles, and the next qualifying event is happening this weekend. You can watch it at Sunday at noon CST on Solid Jake’s twitch stream. Gold League out of China keeps on going, with events every Thursday through Sunday at 1 am CST, with an English cast over on Gillyweed’s twitch channel. The last event is on May 6, with the finals starting May 7. If you’d like to follow this Global Summer Series all the way to Sweden — or you’d like to get into Heroes esports in general — but you’re really not jazzed about getting up that early, a look at her YouTube channel to familiarize yourself with these teams on the VOD is a must. MVP Black in particular is dominant on the world stage, but EDward Gaming and eStar Gaming are also looking good for Dreamhack. The method to determine the two teams out of South Korea is a weeks-long event similar to the one we’ve seen play out in China. Super League kicks off next week, at 5 am CST on Monday, and continuing on with varied events until June. The action takes place on OGN’s official Twitch stream.